The BT2025 Alpha scoreboard is a multi-sport scoreboard with dynamic display of team names. It features the display of results and a timer according to each sport. 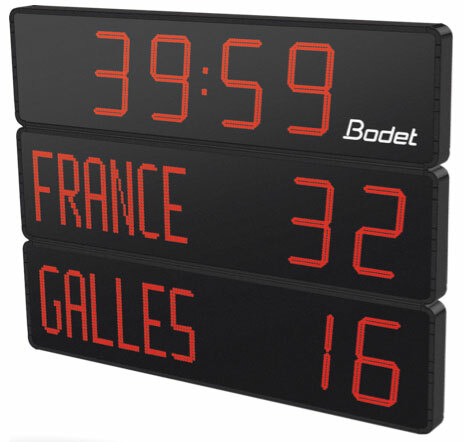 This scoreboard is designed for stadiums hosting regional, national and international competitions.